Your transmission deserves the same care and attention as other parts of your car. Regular replacement of Automatic Transmission Fluid (ATF), according to your manufacturer's recommended schedule, will help extend the life of the transmission, prevent rough shifting, accelerated wear and even transmission failure. Normal wear from gears grinding causes metal shavings and high heat which creates debris and deposits. With improper maintenance, metal, debris and deposits build up causing the fluid to overload, which may result in a transmission failure. 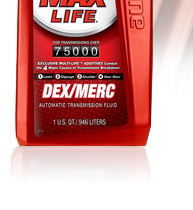 Draining the old fluid and replacing with new fluid improves operation for the transmission. 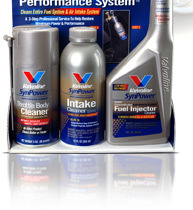 Your Valvoline Oil Change technician will exchange the transmission fluid including the fluid in the torque converter, with the proper Valvoline Automatic Transmission Fluid.